In the working world, labels warn employees and sometimes even customers of potential hidden dangers in the workplace, and contribute to the safety of a work culture in their own subtle way. They’re so ingrained in industrial environments that most people might take some of the signage and labeling that keeps them safe for granted, despite its importance. The fact remains, however, that more and more business owners and safety managers are taking advantage of the increased availability and decreased costs by purchasing their own label makers outright. In the next few paragraphs, we’re going to describe some of the top models available today and work through finding a label maker that will save you time and money while also simultaneously improving your safety adaptability. Even though there are many signage shops still in existence, they are steadily declining in demand as people begin to embark on their own journey of label printing right in their own work facilities. Actually, the savings over time of printing your own labels can quickly add up and actually put you in the black on your primary purchase investment rather quickly. Online vendors and shops selling labels generally need to establish high markups on their products in order to stay profitable. As the owner of a label maker, you’ll be paying simply for baseline material costs, which are relatively cheap. Labels simply make your life a whole lot easier. In the safety world, labels are used every day to warn workers about pipes carrying temperature-extreme or dangerous elements, containers of hazardous materials, tripping/falling/slipping hazards, and more. 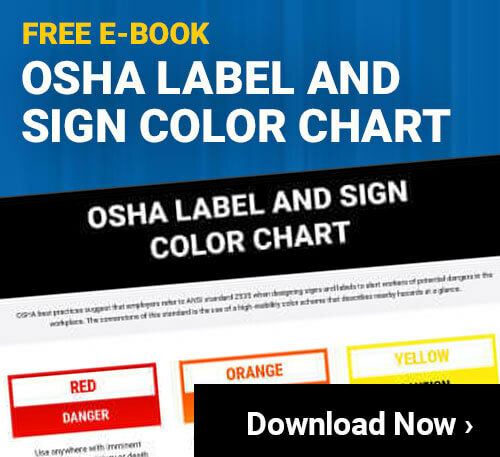 It’s not a stretch to surmise that companies with in house printing capabilities are actually safer than their counterparts without, simply because the barriers to labeling potential safety dangers are much higher. Employers might avoid or delay getting extra labels if they have to go out of their way to order them, however with a label maker right there on standby, you’re just a few second seconds away from printing what you need so you can label a newly-spotted potential danger quickly and effectively. In addition, the ability to make labels on demand improves customer clarity. The process of finding, identifying, and getting detailed information on a product can be instantly altered and improved with a quick label fix or addendum. What to Look for when Purchasing an Industrial Label Maker? Print Size: The height at which a label maker can print will always have a fixed maximum. You need to take a look at the type of labels you’ll be making and determine how much height you’re going to need. Will four inch tall labels work? Do you need to be able to print larger labels visible from further away? This is going to be your first consideration. Hint: The number in a model’s name will likely correspond to its maximum print width. Print Quality: From graphic design to at-home use, 300 DPI (dots per inch) is the standard resolution for most printing suites and allows you crisp, non-pixelated graphics when printing at a range of dimensions. Check the print resolution of any label maker. Integration: Most, but not all, brands will interface with your computer easily via USB cable or wifi, and allow you to design your labels in any number of programs before sending them off to print. This affords you full control of everything you make. Manufacturer and Reseller Integrity: As with any product, certain brands are known to last longer than others, and certain brands/sellers are going to offer (and back up) better warranty claims than others. Be sure to look before you leap here, just like with any purchase for your business. In fact, all that’s really left up to you is to decide which model best suits your own needs. We certainly hope this has helped in your decision making process, and don’t hesitate to contact us with any further industrial label maker questions you might have!